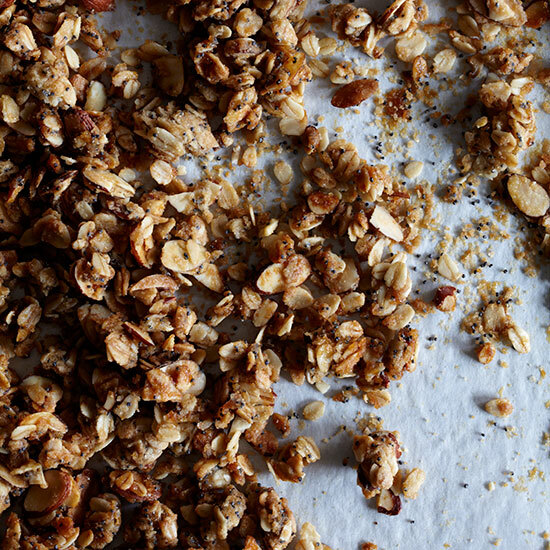 This granola recipe from Jessamyn Waldman's mother is more nutty than sweet. 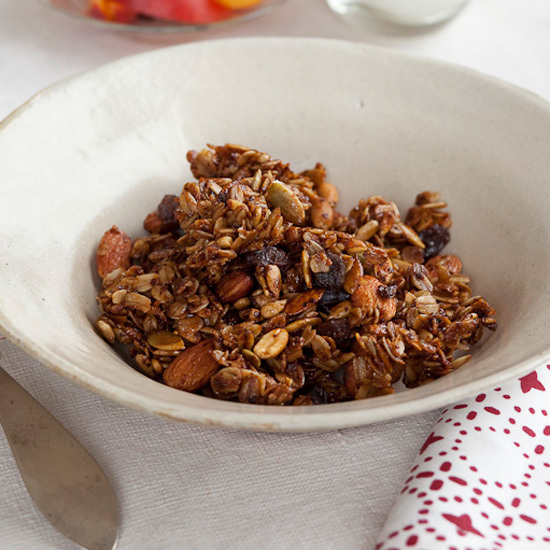 Says Waldman, "I love it because I';m not a sweet breakfast person myself." 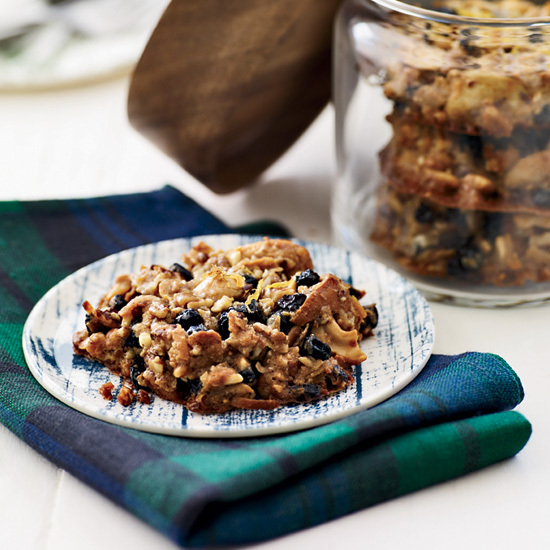 Instead of adding dried fruit to her crunchy granola, Belinda Leong creates chewy-sticky clusters of oats, nuts and poppy seeds. 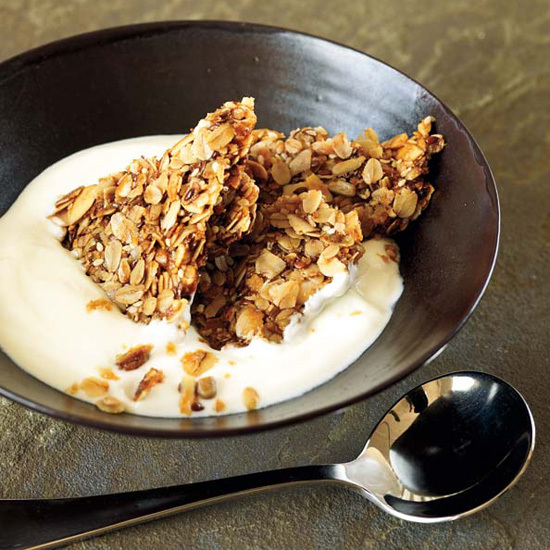 She serves the granola with her Greek yogurt panna cotta, but it’s also fabulous with plain yogurt or as a snack by itself. 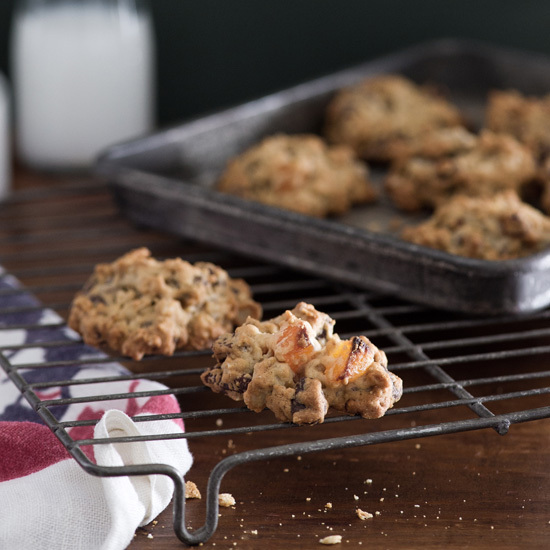 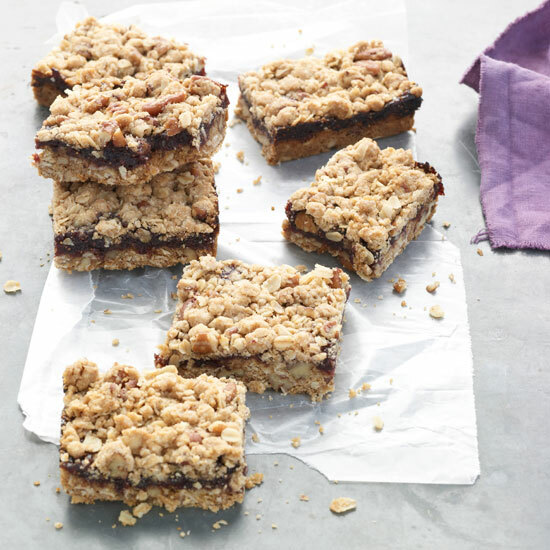 In a cute spin on oatmeal cookies, F&W's Melissa Rubel Jacobson adds toasted pecans, dried apricots and semisweet chocolate chips to the dough to make it extra-chunky. 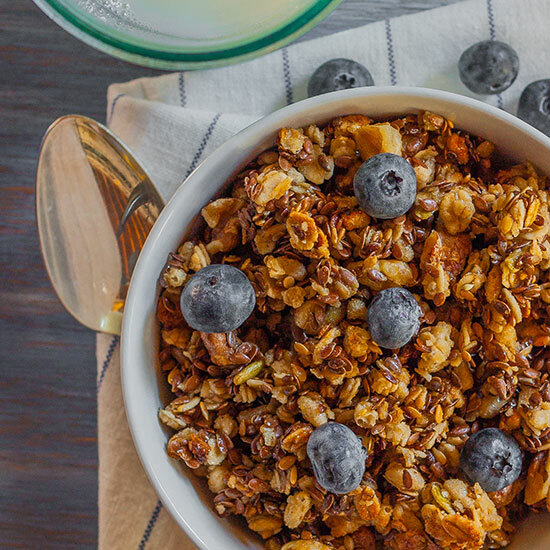 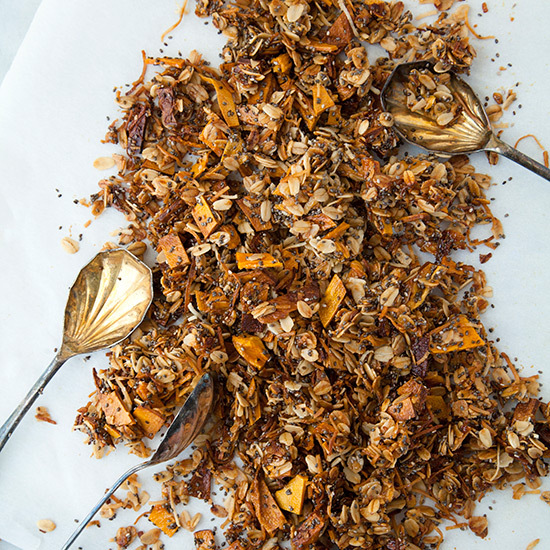 The healthy ingredients—bran, wheat germ, seeds and nuts—in Alisa Barry's incredibly crisp granola belie the decadent flavor. 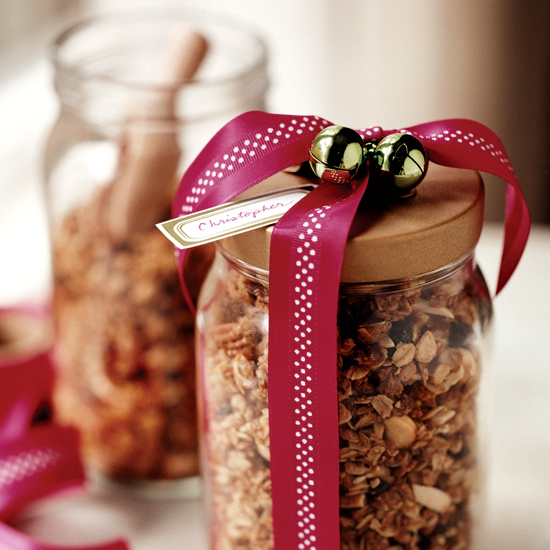 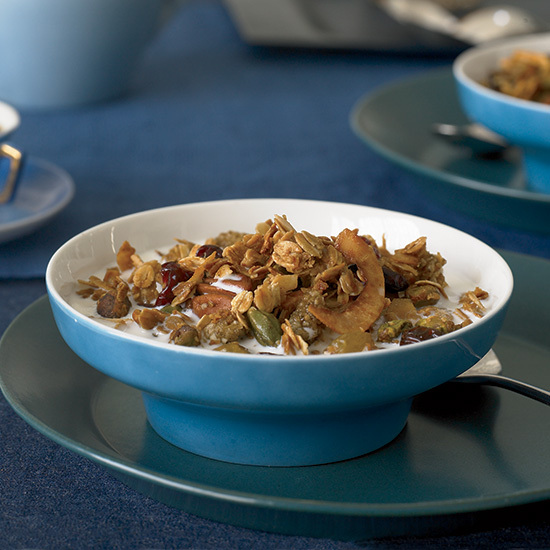 Neal Fraser's signature granola is loaded with rolled oats and dried fruit, plus cashews, almonds, pistachios and pecans. 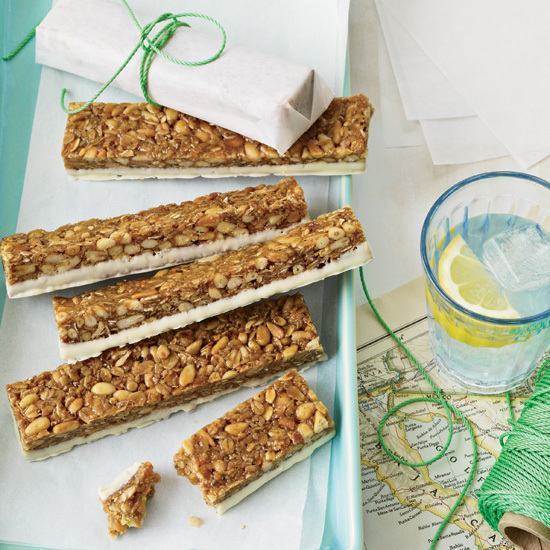 What really makes it stand out are the delicate flakes of grated coconut, which get toasty and sweet during baking. 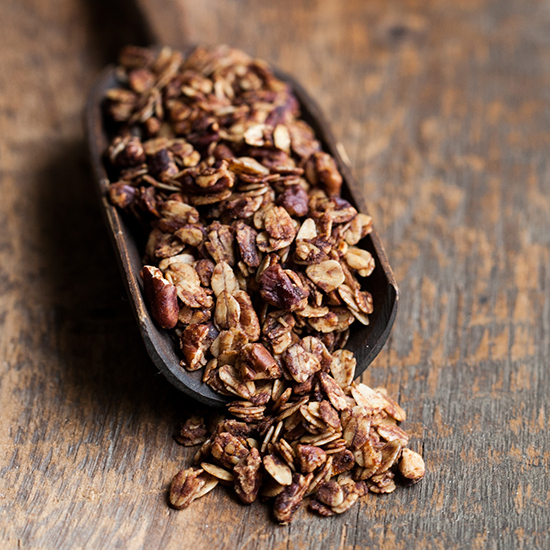 This delicious granola is made with just six ingredients; rolled oats, honey, chopped pecans, cinnamon, salt and walnut oil, which adds an extra-nutty flavor.